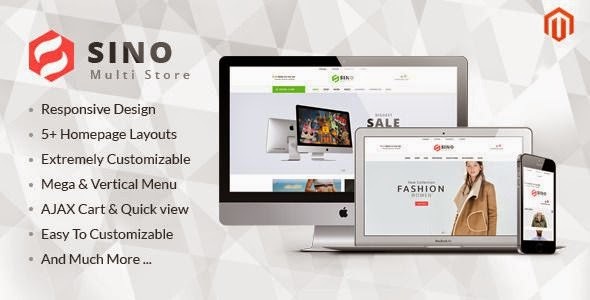 Sinoshop is a Premium Responsive Magento theme with extremely customizable admin settings. Suitable for every type of store. Great as a starting point for your custom projects. 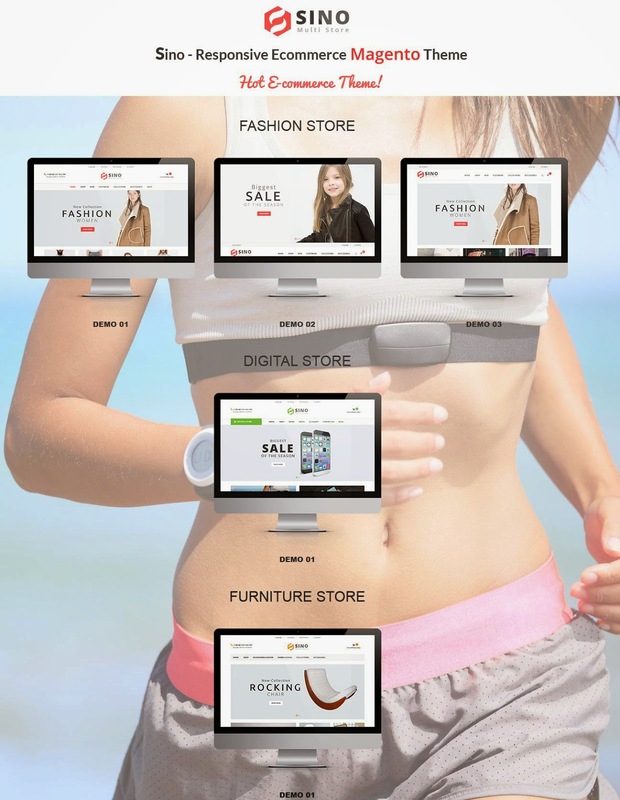 Perfect responsive multistore magento theme. This theme includes 10+ extensions. On Home page you can quickly show Bestsellers, New, Featured, Random, Latest and Special products, customizable multi tabs, multi rows, grid, slider easy config in Admin Panel. Item Reviewed: 5 in 1 Premium Responsive Multipurpose Magento Theme 2015 9 out of 10 based on 10 ratings. 9 user reviews.